Flatware set forged of 18/10 stainless steel. 20-piece set includes service for four. 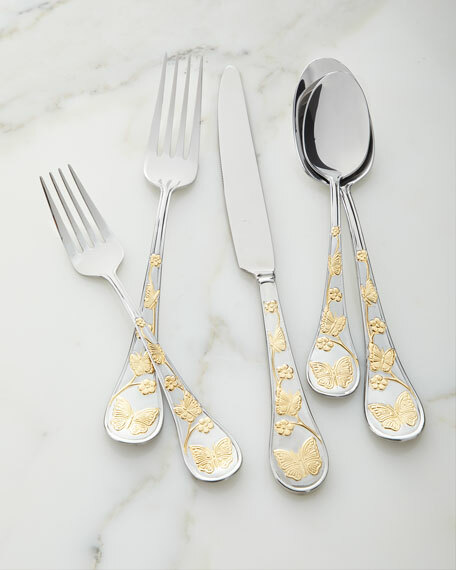 About Godinger Silver Art, Co.
Family-owned since 1974, Godinger has proudly offered high-quality giftware. 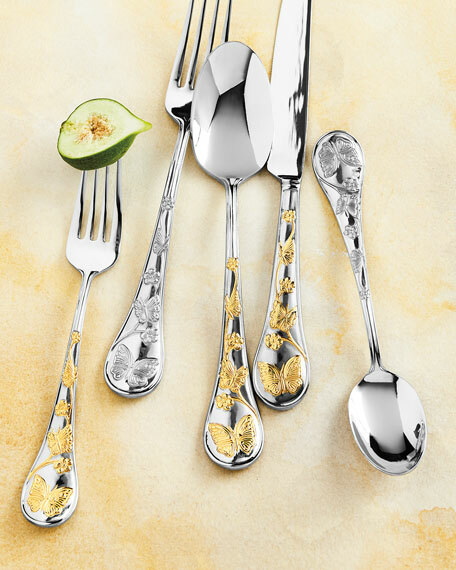 From crystal, pewter, and silver-plate to stainless steel and alternative metals, each piece combines expert craftsmanship with innovative design. For weddings, baby showers, and more special occasions, dazzle the recipient with a gift from Godinger's range of candlesticks, picture frames, barware, bakeware, and more.